Recovery from a substance use disorder is an ongoing process that often presents a number of challenges. Individuals who have completed an inpatient program may need to find a safe and sober place to live post treatment that allows them to transition from a residential treatment program to life back in the outside world. Oftentimes, sober living homes are the answer. Sober living homes are group homes that offer structure and housing for people who are in the early stages of recovery. Most often, the residents of sober living homes have been released from an inpatient rehabilitation program, such as a withdrawal management program or a comprehensive addiction treatment program, and need to get a strong foothold in their new lifestyle. Many of these facilities are referred to as halfway houses, three-quarter houses, sober living homes, etc. The National Alliance of Recovery Residences (NARR) is a national nonprofit organization that attempts to set the standards for these facilities. It was founded in 2011 and has adopted the collective term recovery residences to describe all of these types of facilities. The majority of these residences do not offer formal treatment programs on site, although some may have 12-Step group meetings on site. This may vary from state to state and residence to residence, as more recovery residences attempt to accept insurance payments from residents. A recovery residence differs from a rehabilitation program in that a rehabilitation program has a licensed and trained therapy program as the main portion of its services, whereas a traditional recovery residence is simply a place for a recovering individual to stay as they transition from inpatient treatment to independent living. Therefore, in the traditional sense, sober living homes are not treatment programs but actual living quarters. The second major expectation that a resident of a recovery residence should have is that they will be required to maintain their sobriety during their stay and will most likely be required to offer physical proof of abstinence in the form of scheduled or random drug and/or alcohol testing. The major goal of these residences is to provide their inhabitants with safe and comfortable living quarters while they begin to focus on their long-term recovery. If the resident is not able to maintain sobriety, the individual needs more intensive inpatient treatment or some other form of intervention. Expect to be held accountable for rent. The residents of these facilities are most often required to pay for their room. Some residents may get assistance to pay their rent, and others may have to pay the rent from their own funds. Rent is generally affordable compared to average rents in the area. NARR reports that rent ranges from $400 to $800 per month in most facilities, although there are more lavish facilities that can be quite expensive. Expect to be responsible for personal maintenance. Unless an individual is handicapped or has some other disability that interferes with their ability to engage in their own self-care, residents of these facilities are required to clean up after themselves, keep their quarters clean, and maintain acceptable personal hygiene standards. Expect to do personal shopping or chores. Some facilities offer group meals that are prepared by the residents, and others require the residents to prepare their own food and clean up after themselves. When meals are served in a group format, expect to be assigned food shopping, food preparation, and cleanup on a rotating basis. When the facility requires that the individual prepare their own meals, expect to be responsible for shopping, cooking, and cleaning up. 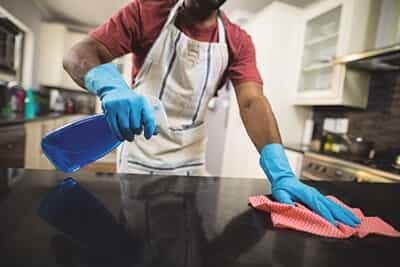 Other chores may be assigned on a rotating basis or on a permanent basis, depending on the facility. Expect limitations on certain types of possessions or medications. Most of these homes prohibit certain products, such as mouthwash with alcohol. They also do not allow the residents to hold their own medications. Instead, medications are typically dispensed by a staff member or nurse. Obviously, any alcohol or drug paraphernalia is strictly prohibited. Expect to be involved in treatment. The residents of these facilities are required to continue treatment for their substance use disorder and to produce proof of their attendance at their treatment program when requested to do so. The particular form of treatment that must be maintained will be specific to the individual. Expect limitations on visitors. Most facilities have posted visiting hours. Even married residents are often not allowed to have anyone else in their room. Expect to be required to work or engage in some other volunteer activity. In addition to attending treatment, many of these facilities require their inhabitants to engage in some form of productive activity that can include school, work, volunteer work, specific chores, etc. Expect to have a curfew. These facilities require all residents to be in the home at a specific time. Expect rules regarding violence. Aggression and violence are strictly prohibited in any form. Expect to have a limited stay. The length of stay in a recovery residence is variable and depends on the specific case. However, these facilities are not designed to be permanent residences, even though some individuals may remain in them for months. Expect other rules to be posted. There may be a number of different rules and regulations that are specific to the facility. Expect sanctions for not following the rules. Sanctions can vary depending on the offense and the facility, but do not expect the staff of the facility to be lenient. For example, violating the sobriety rule or the aggression role may result in eviction. The recovery residence should base its functioning and services according to a mission to provide the residents with a service (a facility that allows them to adjust to independent living and transition to total self-sufficiency). The residence should be maintained according to all legal standards. Staff should be respectful of the residents. Staff should be properly supervised and trained. All expectations of residents should be clearly explained before the individual has moved in. The atmosphere should be conducive to recovery. Rules and regulations should be applied equally and fairly across all situations. Rules and regulations should be consistent with the needs of the residents. Residents should be courteous and respectful to one another. The residents of these facilities should expect to receive support from the staff and other residents in recovery. They should also expect to be asked to support other residents and staff members in making the facility run according to its principles and rules. Finally, the residents of these facilities should expect to be responsible for their behavior and to be held accountable for their behavior while they are staying at the home.